Potentially, Hemp Extract benefits those who experience pain, inflammation, mental fatigue, sleep disorders and much more. Also referred to as Cannabidiol, Hemp Extract has rapidly entered consumer markets through online shops, restaurants, gas stations, farms marts and more. The popularity of Hemp Extract can be attributed to countless customer testimonials about its therapeutic benefits and its legality update in the 2018 Farm Bill. If you are still skeptical if Cannabidiol can potentially provide you medicinal assistance, continue to read below to understand how this compound is capable. 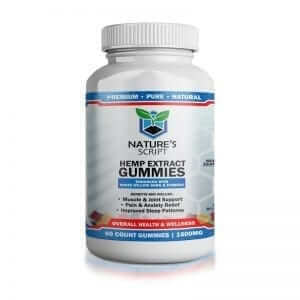 Hemp Extract is a naturally occurring compound known as a cannabinoid found with the stalks of Hemp plants. Cannabinoids are diverse chemical compounds that act on cannabinoid receptors in cells. Cannabidiol, or Hemp Extract, is a non-psychoactive compound and will not cause a “high” or feeling of inebriation. Evidence suggests that CBD is safe in high dosage levels, non-addictive and has no harmful side effects. In compliance with the 2018 Farm Bill, all sellable and consumable Hemp Extract must be extracted from the Industrial Hemp plant. 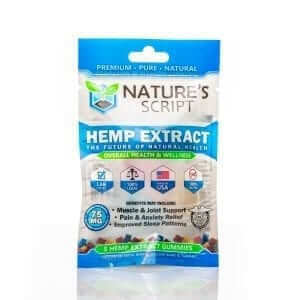 As a committed and quality CBD supplier, Nature’s Script derives our Hemp Extract from organic Industrial Hemp. Our Industrial Hemp grows in soil free of pesticides, toxins and heavy metals to ensure you premium Hemp Extract products. How Am I Going to Benefit from Hemp Extract? You may still be on the fence about whether or not CBD offers benefits or if it’s a placebo, but the science behind the compound is compelling. The reason Hemp Extract may provide therapeutic relief is due to the Endocannabinoid System. The Endocannabinoid System (ECS) is a network of cannabinoid receptors known as CB1 and CB2. These receptors are located throughout your brain, central nervous system and peripheral nervous system. The Endocannabinoid System's primary function is to uphold the homeostasis of your body. Maintaining homeostasis consists of regulating your appetite, anxiety, focus, pain, inflammation, sleep disorders and immune system. When you introduce Hemp Extract products such as edibles, oils and topicals into your system, they help facilitate the production of your endocannabinoids. Cannabidiol may help your body produce more endocannabinoids in order to ward off pain or feelings of stress. One study is also looking into endocannabinoid deficiency – a disease that can lead to chronic pain, stress or insomnia. Check out our CBD product selection below and experience the different ways you can attain Hemp Extract benefits. If it is your first time taking CBD, we recommend taking it at night so that you can become comfortable with its effects. Once you know how CBD reacts with your body, you can add it to your daily regimen for the most significant potential benefits. Our bite-sized CBD Gummies are great for potential long-lasting pain, stress and sleep relief. Combined with White Willow Bark and Tumeric, our Hemp Extract Gummy Bears may deliver relaxation during the day or night, depending on when you take them. Easy-to-take and digestible, our CBD Capsules contain pure Hemp Extract, White Willow Bark and Tumeric. 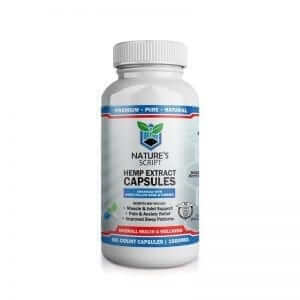 Nature's Script Hemp Extract Capsules may help alleviate mind fog as well as your stress and anxiety levels. 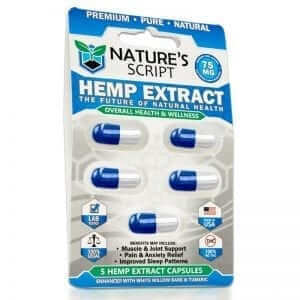 Nature's Script Hemp Oil is our purest product containing only premium CBD and other carrier oils. Available in either Peppermint or Watermelon flavor, our CBD Oil comes in various potencies and may benefit your overall wellness. Topically applied, our Hemp Extract Pain Gel provides a cooling and soothing sensation. 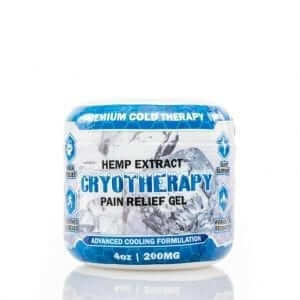 Combined with Menthol USP Natural 4%, Nature's Script cryotherapy gel can be simply applied to your area of discomfort for potential pain relief. 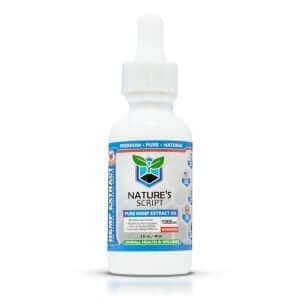 Vaping Hemp Extract is easy and convenient and may also be the fastest way to attain Hemp Extract's potential benefits. 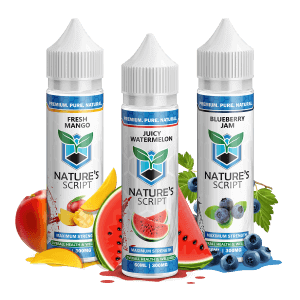 Our Hemp E-Liquids are available in various potency levels and three delicious flavors: Blueberry Jam, Juicy Watermelon or Fresh Mango. Project CBD – What is CBD?